With the call for nominations for new National Marine Sanctuaries, I would like to convey my support for the Chumash Heritage National Marine Sanctuary off the Central Coast of California. The proposed marine sanctuary contains significant cultural, environmental, and ecological assets that are deserving of protection. 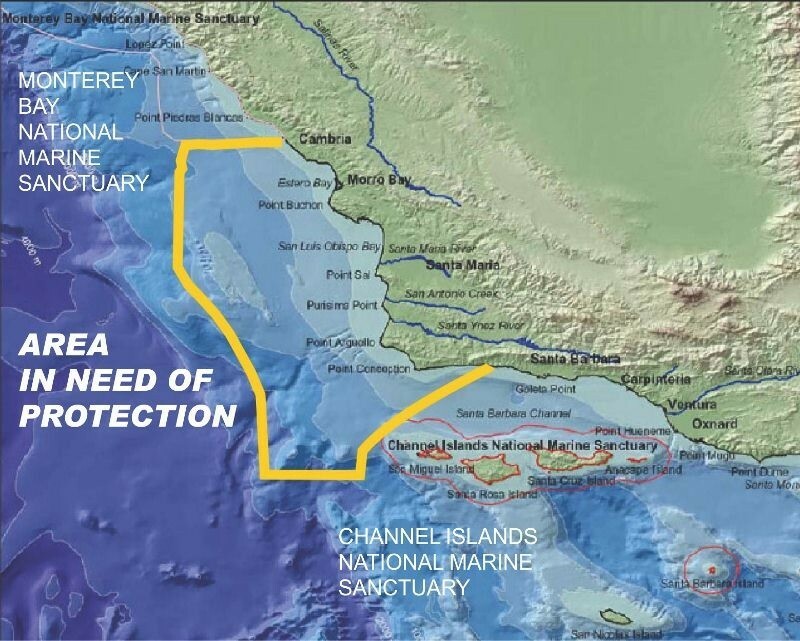 The proposed Chumash Heritage site is situated between two previously designated marine sanctuaries, Channel Islands and Monterey. Closing the gap between the protected and unprotected sites will create a continuous marine sanctuary. The proposed site contains vital cultural resources including submerged Chumash villages and sacred sites. The area also features the Santa Lucia Bank with benthic communities of world-wide significance where 13 species of whales and dolphins gather and feed; three major upwellings; a 3,000 meter deep five-fingered submarine canyon; and cetacean gathering areas and migration lanes. There is a vibrant marine ecosystem with kelp forests, sea otters, world-class fish diversity, and harbor seals. The wetland and on-shore ecosystems include coastal dunes, estuaries, and rookeries. Active community support for the designation includes the following organizations: the Marine Sanctuary Alliance, Santa Lucia Chapter of Sierra Club, SLO Chapter of Surfrider Foundation, COAST, and Northern Chumash Tribal Council. The Chumash Heritage National Marine Sanctuary would provide a legacy of prosperity in healthy local coastal waters, preserve unique and significant coastal ecosystems, and strengthen the tourism-based economy of the Central Coast. I request that you strongly consider the nomination for the Chumash Heritage Marine Sanctuary. If you have any questions, please contact Kara Seward at (818) 876-3352 in my District Office.